The reviewer has been compensated in the form of a Best Buy Gift Card and/or received the product/service at a reduced price or for free. I don’t know about you, but I love to cook. I learned from my mom and then more, much more, from the various chefs that I trained under. Now that I have a kid of my own that is coming of age to get her hands dirty in the kitchen, I look forward to the many hours that will be spent in the kitchen teaching and learning new things together. I mean let’s face it the best quality family time you’re ever going to find will be in the kitchen. I’m sure that I’m not the only one who can appreciate having a few of the nicer touches in the kitchen that you would normally only find in restaurants. Ventilate in Style: Let’s just face it. The vents they install in most home kitchens are a joke. If you really want to cook, get a high-powered hood ventilation unit which vents the smells and oils outside of the home instead of returning to the kitchen covering everything in a nasty little film of God-knows-what. Get Flexible: The Dual Oven is all the rage these days! Having 2 ovens will allow for more flexibility with your cooking needs. Imagine if you had one oven functioning as two with all the burners you would need. You could make cookies, cook soup, a pot roast, Hollandaise sauce and have a burner or two left over. This is what you get with the Samsung Flex Duo® Range. The duo oven can be programmed for different temperatures for the separate compartments. It has an oven door that can open as one door or two in addition to the five electric burners and a warming station. What?? See what other Samsung options are available. Space Out Man: You wouldn’t believe what a difference a spacious refrigerator can make. Organization is key in to keeping your sanity in your home and your refrigerator is a great space to start. You just need the room to do it! Thanks to new designs like the Samsung Stainless 4-Door Flex™, the storage is maximized and you have versatile temperature control options. In select Best Buy stores across the country you find the new Samsung Technology Open House , featuring the latest in Samsung home convenience appliances. Items such as the Samsung Stainless 4-Door Flex™ with maximum storage and versatility such as the bottom right compartment can be changed from fridge to freezer with four different temperature settings to meet your daily storage needs, or you can power chill or freeze with the option to lower the temperature in either compartment. What are you waiting for? Get to your local Best Buy and check out the Samsung Open House to dream of your kitchen upgrades today. 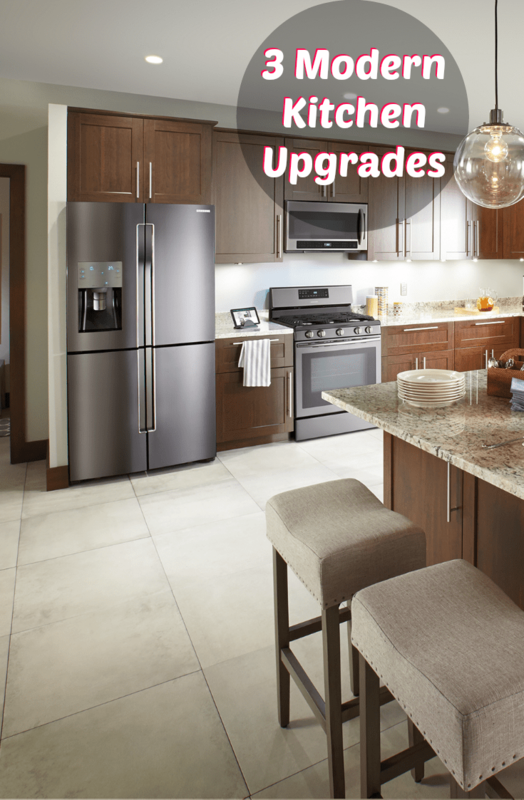 What would be the first thing you would upgrade in your kitchen?